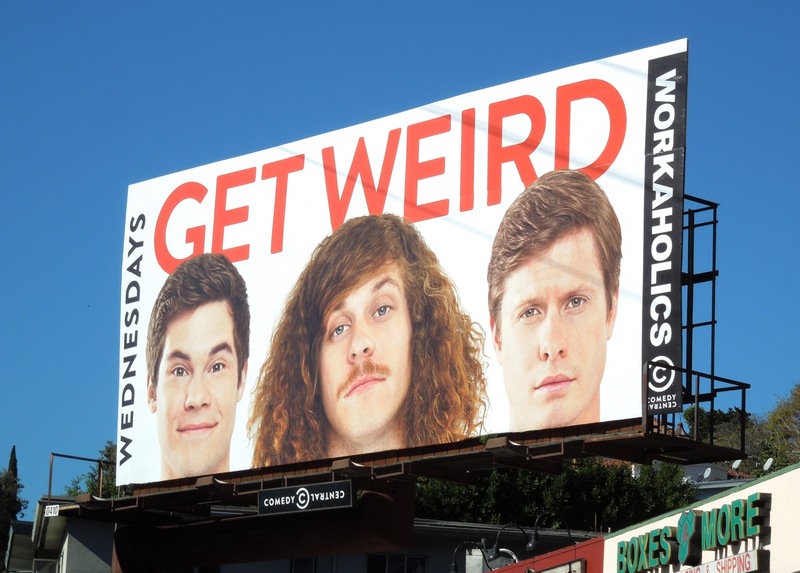 It's the weekend, so are you ready to 'get weird' with Blake, Adam and Ders, three friends who work as telemarketers from 9 to 5 and party together the rest of the time 24/7. 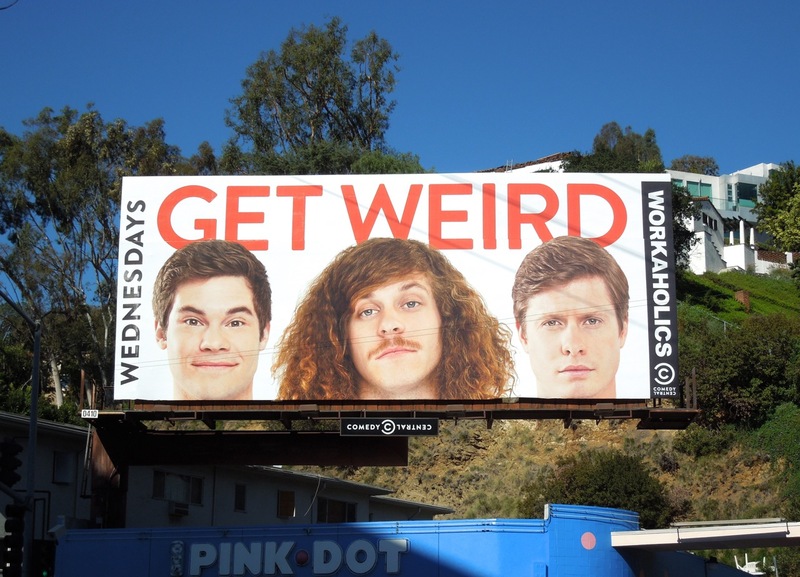 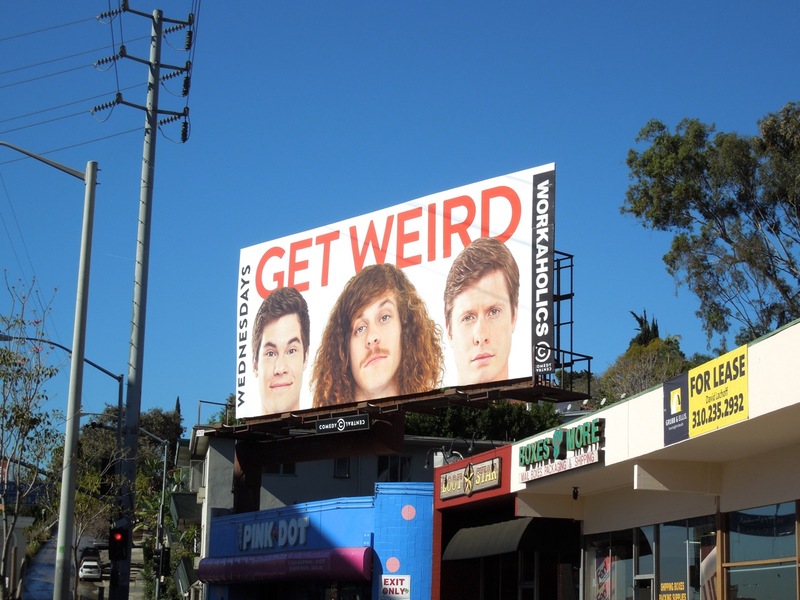 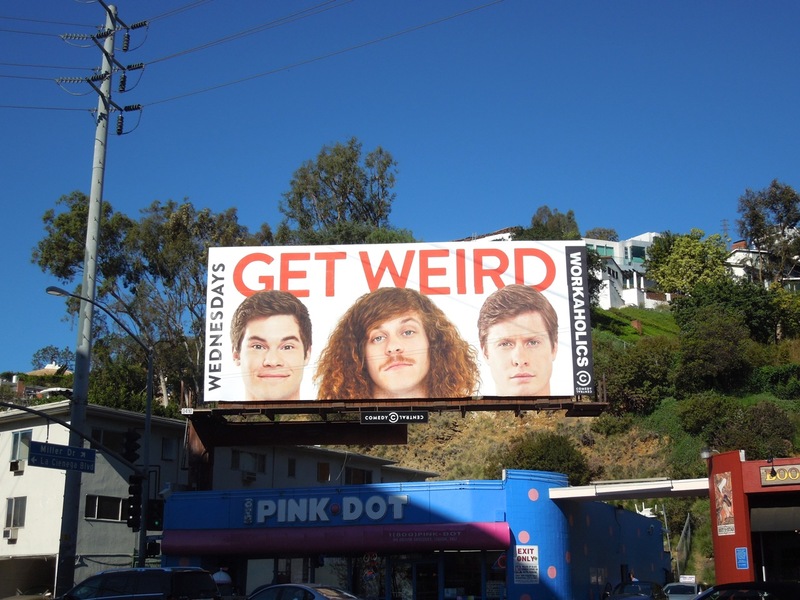 This midseason Workaholics billboard for season three was spied along Sunset Boulevard on January 31, 2013. If you're a fan of the Comedy Central sitcom, be sure to also check out the Fully Torqued special billboard installation for Workaholics season three and the Workaholics series premiere billboard.